Grand Prize is a $159.99 Cuisinart 11-Piece Stainless Steel Cookware Set. The Cuisinart 11-Piece Chef's Classic Stainless Cookware Set includes all the pots and pans you need to cook up a storm. 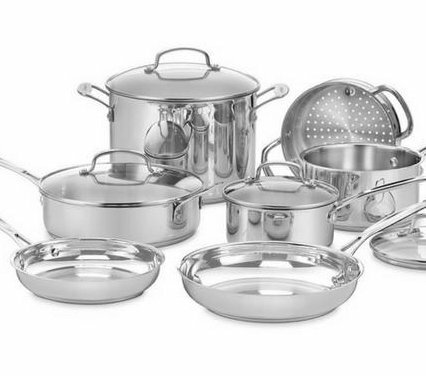 Cuisinart 11-Piece Stainless Steel Cookware Set. Win a KitchenAid stand mixer, worth $300.00 for it. One winner will receive a KitchenAid Stand Mixer in their choice of Ice, Aqua Sky, Cranberry, Metallic Chrome, Blue Willow, or White.